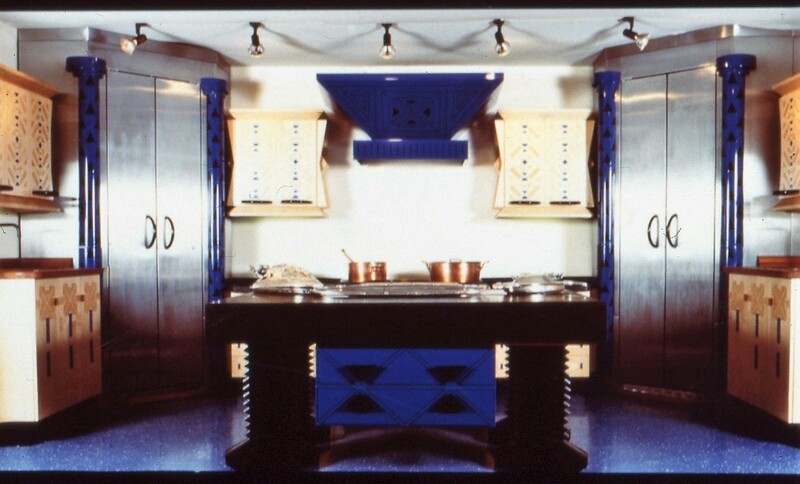 The Amazing Blue Kitchen. 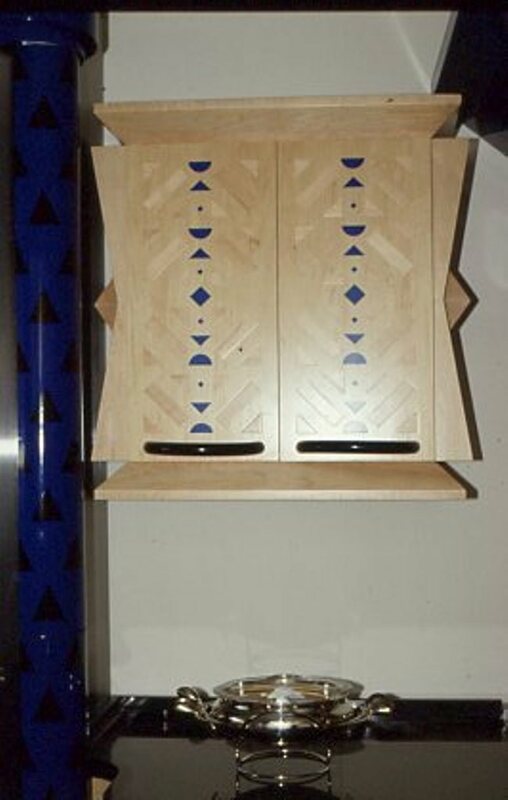 Solid sycamore with blue detailing. 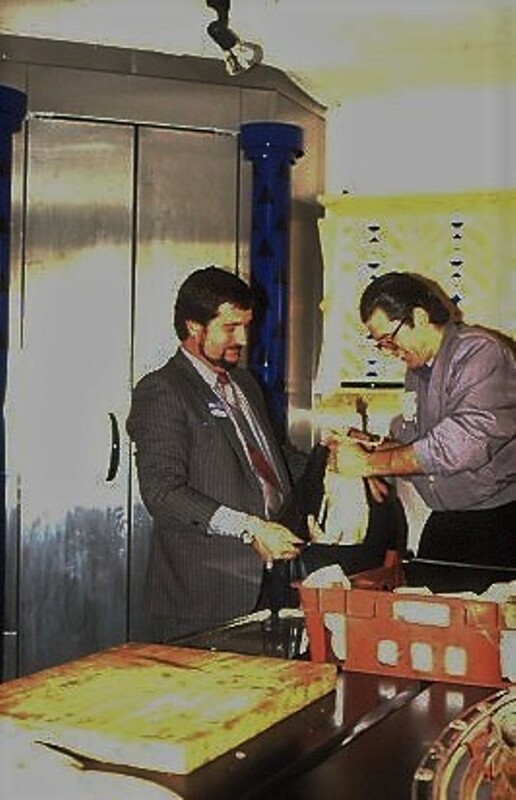 Mark Lewis, Design Director to Lewis & Horning. 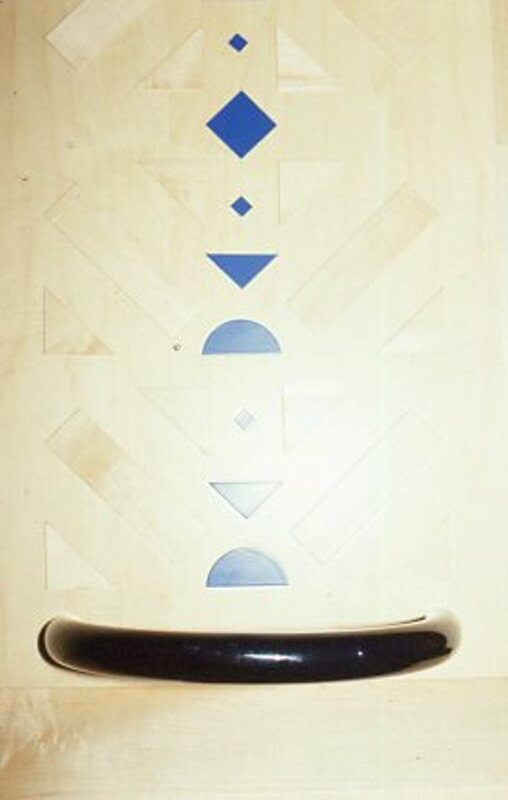 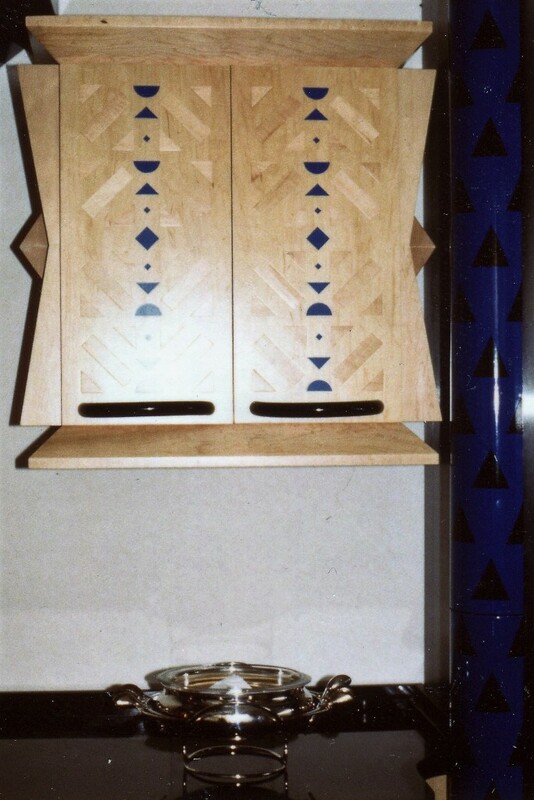 Display in the L&H showroom Business Design Centre, Islington 1986. 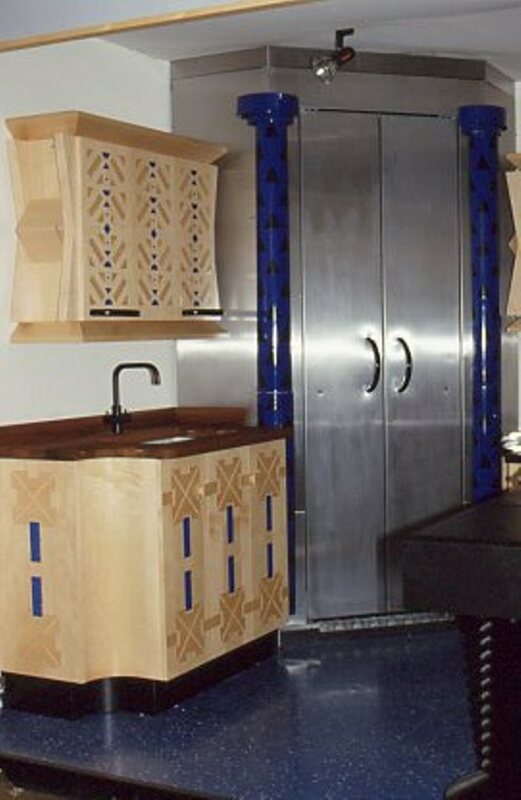 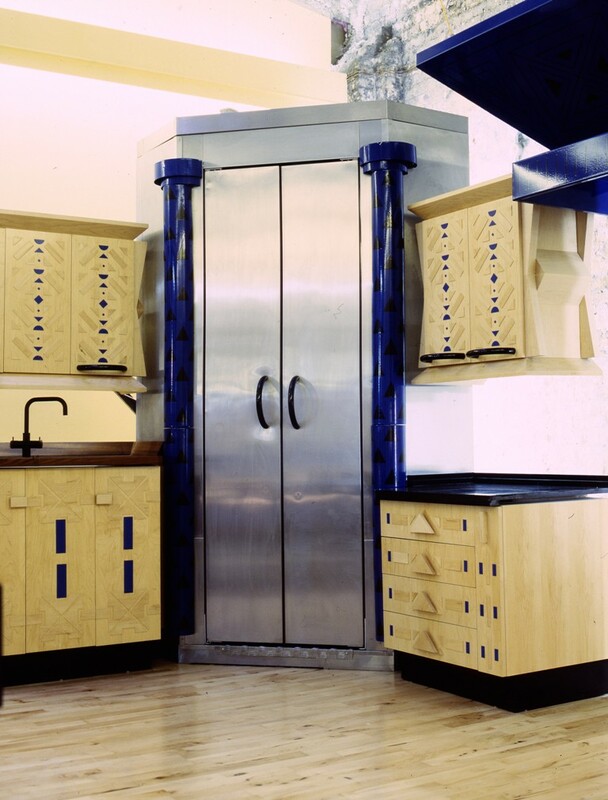 Walk in corner fridge of insulated stainless steel wrapped panels, applied screen printed blue and black triangular pattern in vitreous enameled rolled steel forming vertical decorative columns inclusive of enameled shaped steel bow handles. 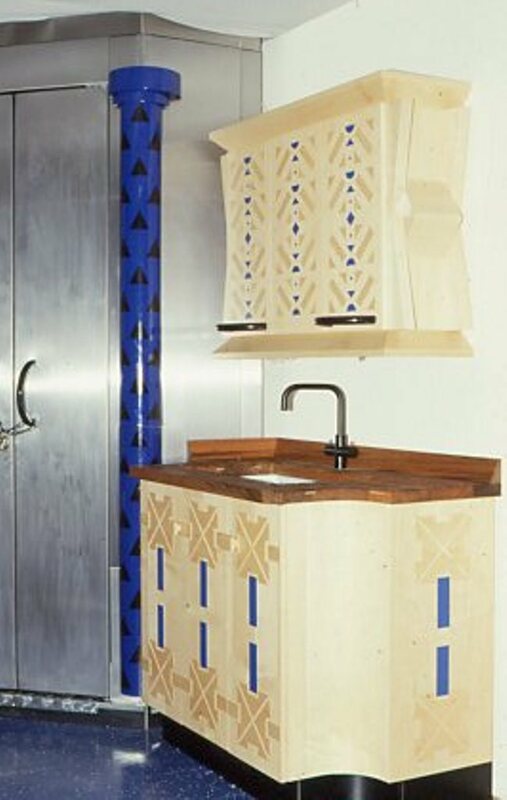 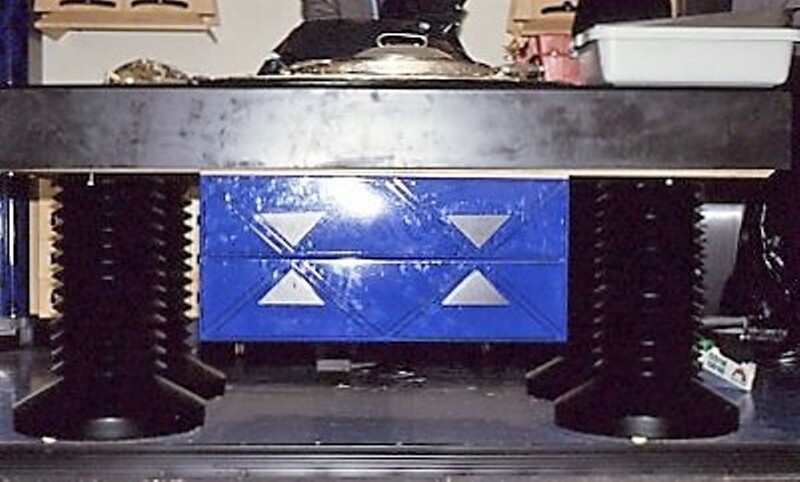 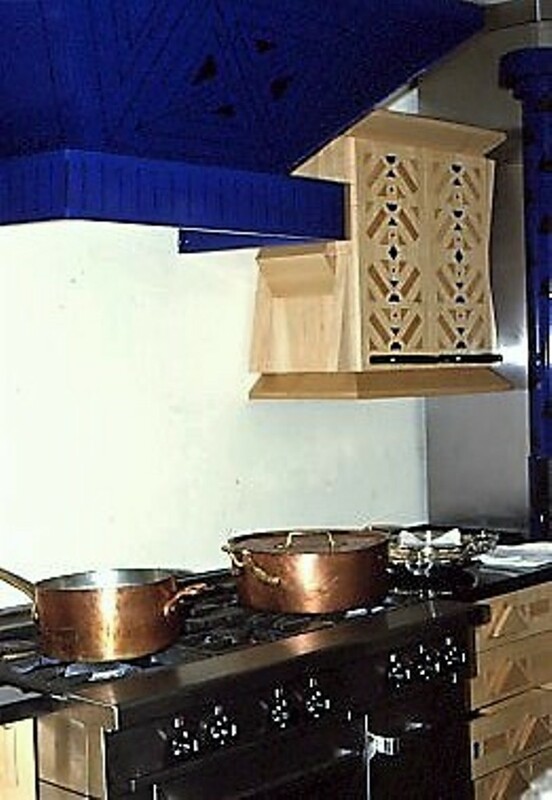 Formed steel sheet extractor hood finished in screen printed blue and black patterned vitreous enamel. 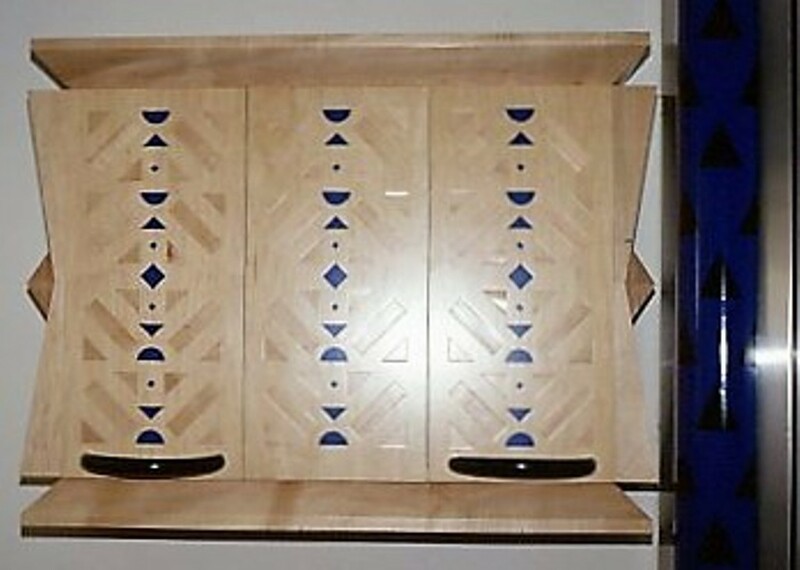 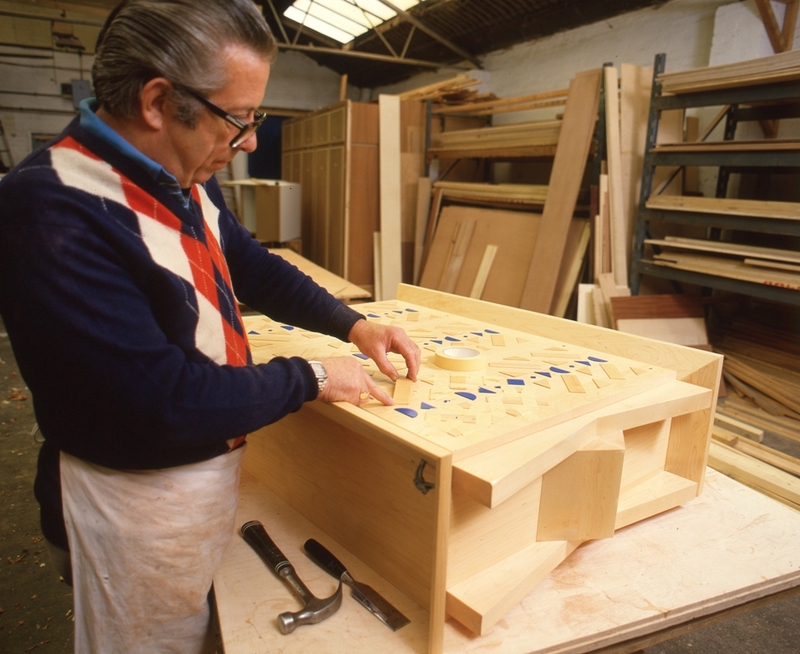 Base cupboards, drawers, and wall units in sycamore veneered board with machined solid sycamore sculpted handles and side panels with applied decorative shapes in solid sycamore and Formica’s “Color Core”. 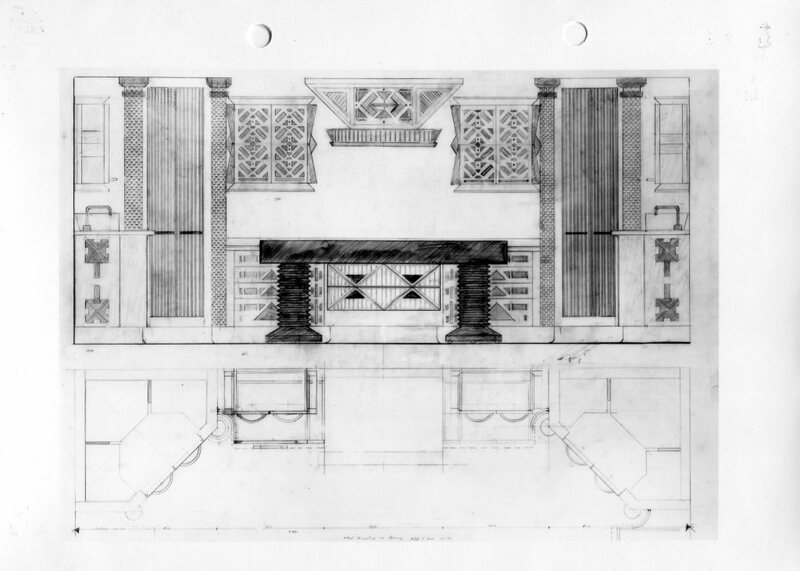 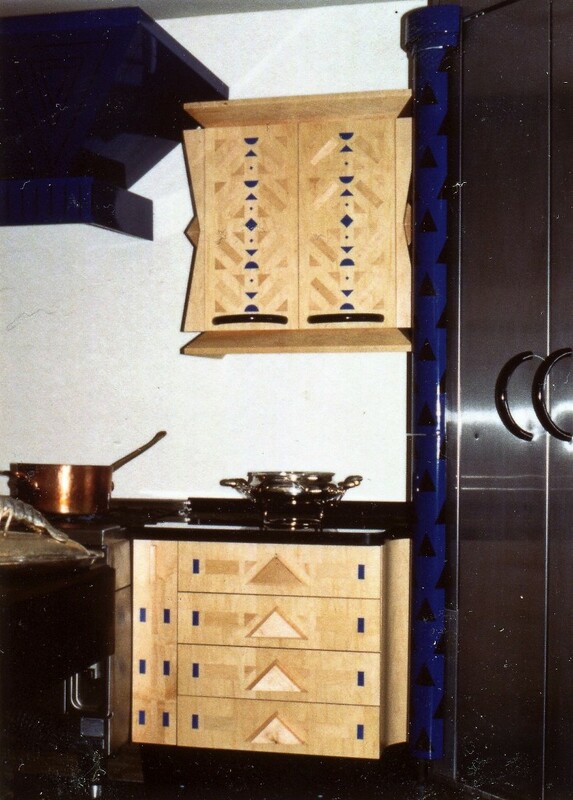 Slate, solid teak, granite, stainless steel, vitreous enameled steel and solid sycamore were used to form the shapes of the kitchen furniture filling an area of 450 sq ft. 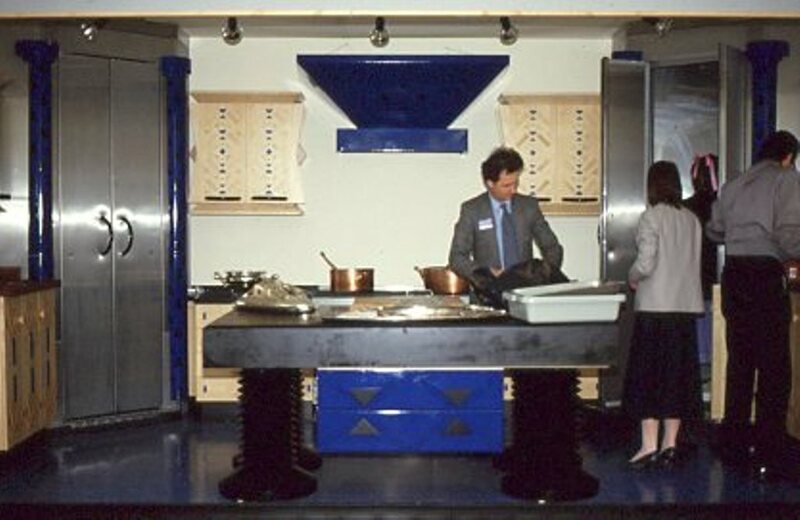 The facilities included two 10 ft high stainless steel walk-in refrigerators, a six ring industrial cooker, vitreous enameled extraction hood, two deep ceramic sinks-set under teak draining slabs and a slate central preparation area. 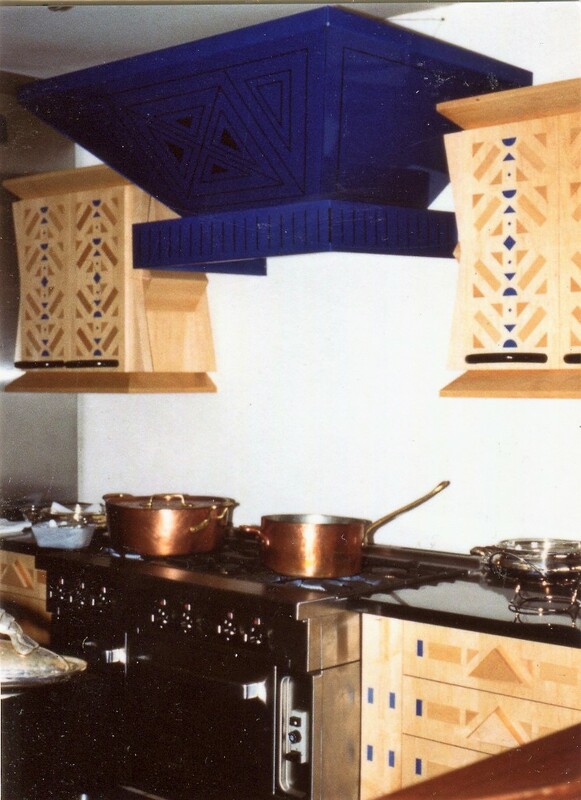 The kitchen was designed to create a professional, creative, cooking environment ergonomically optimising the relative positions of all the facilities. 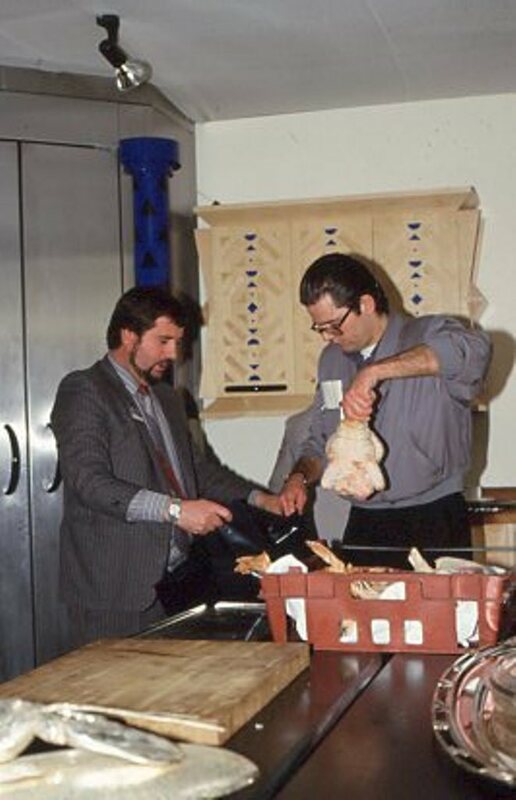 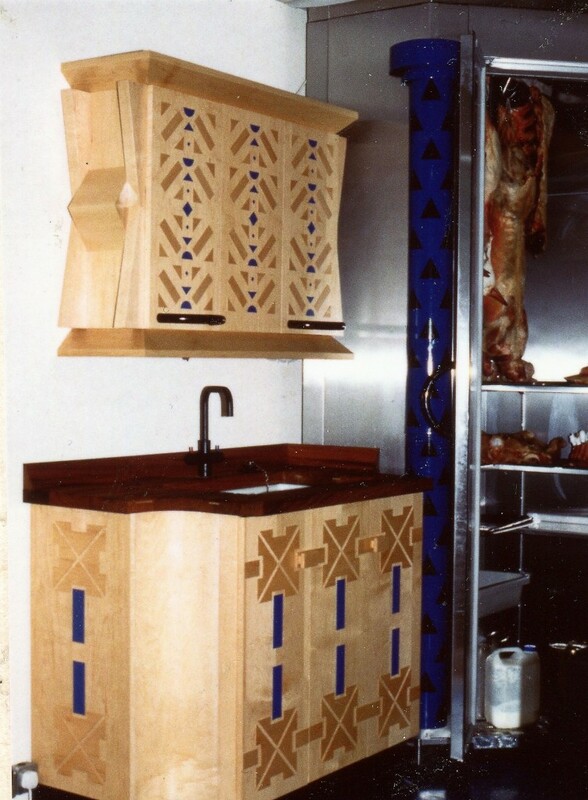 Originally designed and built for an installation at London’s Design Fair IDI at Earls Court in 1985 the kitchen was constructed to demonstrate the potential in having part of a restaurants’ kitchen within the dining area. 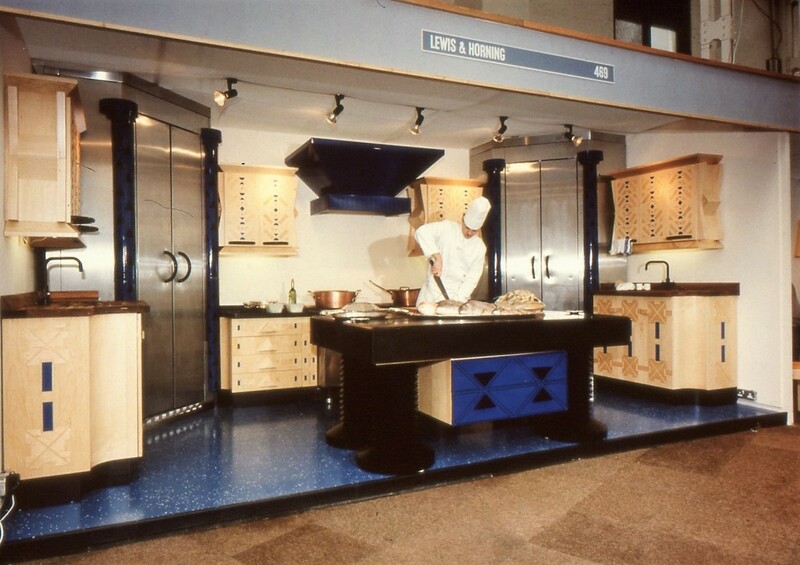 During the exhibition chefs from Scott’s restaurant prepared bouillabaisse to the amazement and delight of visitors.